How to Raise your Business Credit Score! Having good business credit is very important if you’re at all serious about growing your trucking business. Financing trucks, trailers, or other equipment requires established business credit. The issue for most trucking start-ups is in establishing this elusive business credit and having a high business credit score. According to the According to the 2012 National Small Business Association (NSBA)’s Small Business Access to Capital Study “nearly half (43 percent) of small-business respondents said that, in the last four years, they needed funds and were unable to find any willing sources, be it loans, credit cards or investors“. No one wants to lend you money to get you on your way to actually establishing this credit. 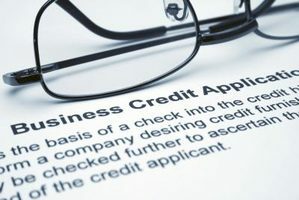 Lenders want to see already established credit and a high business credit score. Please keep in mind that your business credit score is valuated based on a statistical model with multiple triggers inputted into an algorithm that provides a score. In fact the same study quoted above also found that “failure to secure financing has caused 32 percent to reduce their number of employees, 20 percent to reduce employee benefits and 17 percent were unable to meet existing demand“. So what are some of the things you can do now to help raise your business credit score? At the top of the list of known key drivers for business credit scores is your ability to pay your bills on time. For owner operators, this is assuming you have open accounts you’re paying on that are also reporting your prompt payments. Generally speaking if you take a loan out for a piece of equipment like a trailer, you want to have it out for at the very least six months but preferably 18 months. For maximum efficacy and bigger increases, you not only want to make your payments on time but make them early, before they’re due. In the case of freight brokers, although most will contractually promise to pay in 30 days, most will take longer. “Twenty-one percent of respondents reported longer payment times by their clients with a notable jump in terms of net 60 to 90 days“. The ones who value their business credit scores and are able to do it, will make it a habit of paying you before the net 30 date. 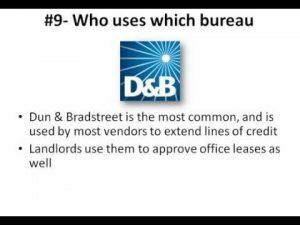 I didn’t know this but it turns out that those companies that are set-up with Dun & Bradstreet (D&B) and pay on-time, will generate an 80 D&B Paydex® Score while another company that pays sooner may have a higher score. Trade references are another very important part of your business credit score valuation. I remember going through packets full of trade references and never truly understanding why they were listing them. Turns out trade references are also taken into account as part of the calculation of your company’s business credit score. In the case of an independent owner operator, you’d list positive trade references from well-known brokers, vendors, suppliers, or diesel shops. While not every company you’ve worked with will post to the credit bureaus, some will. Something you can also do and I recommend you do it, is get set-up a credit file with D&B and add your positive trade references on the appropriate page of your file. Also keep in mind it takes a minimum of 3 trade references that report in order for D&B to generate a credit score for your company. 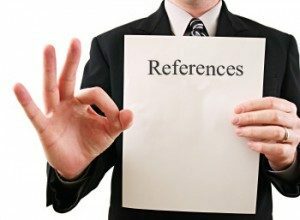 The more high-quality, positive trade references you can list in your file and the more these references report positive activity in doing business with your company the better off you are. In a nutshell, a credit utilization ratio is the following. You have a credit card, the total line of credit is $100,000 and your current balance is at $50,000 which means you’re utilizing 50% of your available credit, and have a credit utilization ratio of 50. 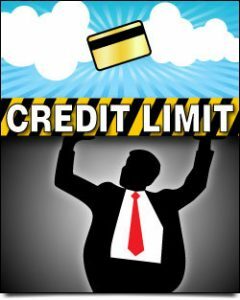 Looking at credit utilization ratios, a lender can have a pretty good idea of the potential type of risk they’d be incurring if they lend your company money. The reason for this is simple, the assumption is that if you’re utilizing a large part of your available credit, you may not be in a good place to pay your bills. You want to always keep your credit utilization ratio low. You can calculate your total credit utilization ratio by adding up all of your balances and as well as all that remains available on your credit line. Many will tell you to keep this ratio below 30% but I’d recommend you keep them at no higher than 15%. You want lenders to see you as a low-risk borrower who will repay his debts. As mentioned above, you lower your credit utilization ratio by paying off balances and keeping the largest portions of your total credit lines as open and unused. Another way to help lower your credit utilization ratio is to raise your credit lines. You want to request your credit line increases early enough when your ratio is still in a good place. Banks may think twice about giving you more money and sometimes they may even lower your credit lines which is even worse since it worsens your credit utilization ratio. The NSBA study found that “nearly one in three (29 percent) small-business respondents report that, in the last four years, their loans or lines of credit were reduced“. The idea is simple, if you have a $50,000 credit line and you’re using $25,000 of it, then you’re at 50%. Say you were extended more credit and your total line was increased to $100,000 but your balance remained at $25,000 so now your credit utilization ratio has decreased to 25% which is much better. Tell them how long you’ve been in business, provide your bank’s information, list payment data if you have it, list the number of employees you have, if you have any. Finally don’t forget to list your company’s gross annual sales and keep it updated. Keep in mind that if your business credit score is high, there’s a better chance of obtaining financing and with better and much more favorable credit terms. Another reason why you should get set-up with D&B is to get a D-U-N-S number issued to your company. Once you have a D-U-N-S number, you are now much closer to being qualified to work with the government as a Federal Contractor. According to the National Small Business Association (NSBA)’s Small Business Access to Capital Study conducted in 2012, 20% of small business loans are denied due to business credit.